December 2, 2010  The President’s oil spill commission is likely to recommend that the United States create a new, independent agency to oversee worker safety on offshore drilling rigs and production platforms. 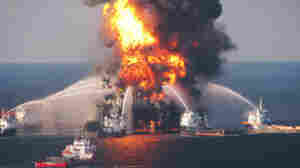 August 4, 2010  The Obama Administration appeared to regain some control after BP rogue well was plugged. July 20, 2010  BP has agreed to sell $7 billion in oil and gas properties to Apache Corp.
July 16, 2010  BP engineers are wondering why the pressures in the newly capped well are lower than they expected. July 16, 2010  British ambassador to the U.S. says there was no link between the Lockerbie bomber's release and BP.